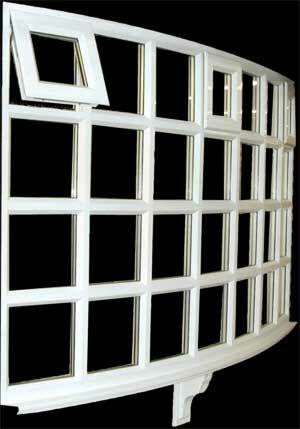 The one-piece Georgian bow window is a revolutionary in that it consists of one easy to fit single frame. It is produced from one continuous curve which includes the sill. The custom-made bow window perfectly replicates the traditional Georgian bow window as it is a change away from the traditional bulky collection of small windows. The Georgian bow windows are available in white, mahogany, rosewood and light oak.